It’s finally time. The NBA regular season has officially ended and the playoffs are only a few days away. Kentucky will be well-represented across several teams and a few of them even have a good chance of making some noise. 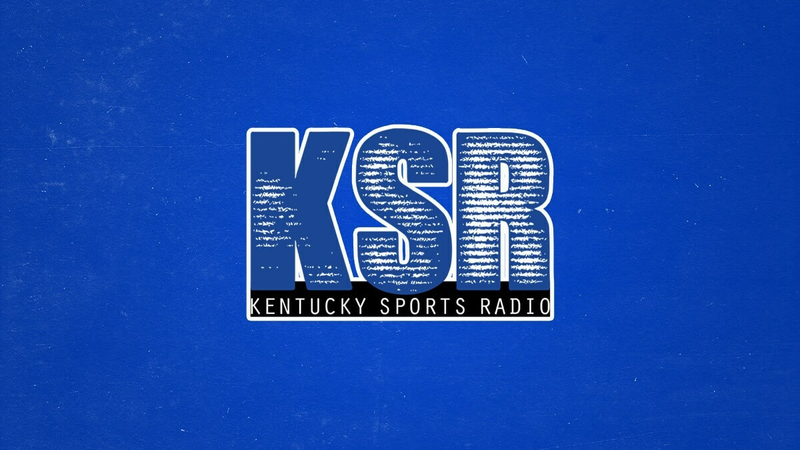 Let’s do a quick preview of all the series and talk about which former Kentucky players will be featured. The Washington Wizards aren’t exactly where they want to be at this point in the season. They’ve dealt with the injury to John Wall and recently hit a skid at the worst possible time. Luckily, they’ll be going up against the Toronto Raptors, who are once again going through their yearly tradition of flailing right before (and during) the playoffs. The Wizards have dealt with chemistry issues practically all season and they have to rectify that now or this is going to be a quick series, no matter how poorly Toronto may or may not play. Jodie Meeks’ production has been hit or miss all season (with more misses than hits), so now would be a good time for him to get into a groove. He scored 18 in his last regular season game, so hopefully he can ride that into the postseason, lord knows they’ll need the bench scoring. Wall will be going head-to-head with Kyle Lowry – who is having an excellent, borderline MVP-level season. This is the only first-round series that showcases two elite point guards going at each other, so it should be exciting in that aspect. Eric Bledsoe is the only former Wildcat in this series, but a vital piece to the Milwaukee Bucks puzzle. This series will be picked as the most likely to see the lower seed come out on top due to Boston having to play with no Kyrie Irving or Gordon Hayward. If the Celtics win this series, it will be because Brad Stevens is a genius (which he is). The Bucks have the superior talent on paper with Bledsoe, Giannis Antetokounmpo, Jabari Parker, Khris Middleton, Malcolm Brogdon, and a few others, and with no Irving, it will be up to Bledsoe to dominate in the backcourt. Bledsoe finished the year strong, putting up back-to-back 30-point performances and a 20-point triple-double only a week later. He’ll be a major key to the Bucks success this postseason and if they find a way to pull it out, he’ll have his fingerprints all over the series. Bam Adebayo may only be a rookie, but he’ll likely play a huge role in this series. With Hassan Whiteside seeing fewer minutes seemingly every game, Adebayo and Kelly Olynyk have taken over a large chunk of that playing time. In the playoffs, I wouldn’t expect that to change. Olynyk can stretch the floor while Adebayo can play both sides of the ball. Whiteside is mainly a defensive presence and he’ll for sure play to help limit Joel Embiid, but Adebayo will be used to soak up some of those offensive points that Whiteside is unable to collect. Alex Poythress is the only former Wildcat in this series and odds are he’ll struggle to see the court. The Pacers signed him to a deal earlier this season, but he’s only seen the court in 25 games. Going up against LeBron James means that any Poythress appearances will come during end-of-game blowouts. Even still, this is going to be a very entertaining series solely because of how much history the Pacers and LeBron have between each other. Out West is where things get fun. It begins with Karl-Anthony Towns and the Minnesota Timberwolves, who had to win their way into the playoffs during the last game of the season, ending a 14-year drought (and depriving us of Jamal Murray and Trey Lyles in the playoffs). KAT has been a monster this season, especially as of late in the absence of Jimmy Butler. Butler is back now – right at the perfect time – and the Wolves are a 47-win eight seed. In the months of March and April, Towns averaged 24.7 points and 12.7 rebounds per game while shooting 54.5 percent from the field and 45.2 percent from deep on 3.4 attempts per game. Uhhh, what? Isn’t he seven-feet tall? He’s been on fire and the main reason the Wolves were able to maintain a playoff spot without Butler. This is going to be his coming out party, let’s see if they can steal a game or two from an elite Houston Rockets team. No Kentucky players in this series and no Steph Curry either due to an MCL injury (and still no word on Kawhi Leonard). Despite this being a series with two high-profile teams going at it, it could be one of the least exciting. This is the series Kentucky fans have been waiting for and it actually could have been even better (why did DeMarcus Cousins have to get hurt? I still cry every day because of it). Anthony Davis, Darius Miller, Rajon Rondo, and DeAndre Liggins will all be in action for the six-seeded Pelicans. This is Davis’ first playoff appearance since 2014-15 and he’ll go into this series as a top-5 MVP candidate. This is easily the series I am most looking forward to, not only because of the Kentucky connection but because Damian Lillard (another top-5 MVP candidate, in my opinion) and C.J. McCollum are an elite backcourt duo. It’s going to be a battle every game with some great head-coaching minds and I wouldn’t be surprised to see it go seven games. Patrick Patterson and Dakari Johnson will both represent the Thunder in this series, although Johnson is in a similar boat as Alex Poythress and will probably see limited – if any – minutes. Patterson, on the other hand, is a key rotation player. He’s having a disappointing season by his standards, especially after he contributed so much to Toronto’s bench the previous three, but he has shown he can still make an impact. The fate of the Thunder lies in the hands of Russell Westbrook and Paul George but 10-15 solid minutes per game from Patterson will go a long way for the team. Also, the Utah Jazz’s star rookie, Donovan Mitchell, went to Louisville, so you might as well root for the Thunder anyway. I’ll be covering as much playoff action as possible this postseason, so be sure to follow me on Twitter! The Pels are a legit threat, as are the T-Wolves. The Cav’s season has been a roller coaster, as has the Warriors…due to injuries…so the playoffs appear to be set up for some very competitive games. The Rockets and Raptors have a lot to prove as well, since they’ve been huge letdowns in recent years. The Wizards…as much as I love Wall….they’re just not going to win a ‘ship, as long as he and Beal remain together. That’s been a toxic pairing from the get-go, and it’s only gotten worse. Wall seems to genuinely love living in Washington…God only knows why…but I’d love to see him paired back up with Bledsoe. Wall, Bledsoe, and The Greek Freak would be a great nucleus. It’s going to be a really exciting playoffs this year from top to bottom. I think we’re still set up for another Cavs-Warriors rematch in the Finals, but something like Rockets-Raptors or Rockets-Sixers wouldn’t surprise me and a lot of these first-round matchups are going to be super entertaining. I’m with you on Wall’s situation, too. The Wizards either need to revamp their entire frontcourt or move Wall somewhere else. Appreciate it! There will be more to come!